ACVO National Service Dog Event 2016 | Animal Eye Associates, P.A. 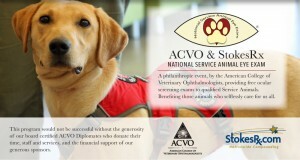 Animal Eye Associates is proud to participate in the ACVO National Service Dog Free Eye Exam Event in May. If you are interested in registering for this event please click on the link below, starting April 1st and register you Service Animal. 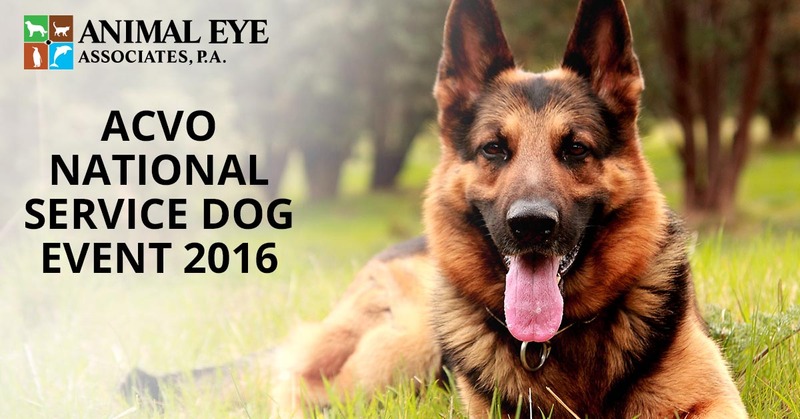 Once you have registered please contact Animal Eye Associates at (407) 629-0044, with your confirmation number, to schedule your Free Eye Exam during the month of May. We will be doing Free Service Dog Exams in both our Maitland and Waterford Lakes offices. ©2018 Animal Eye Associates, P.A. - Do not copy. All rights reserved.